National Window & Door in Christiansburg, VA, has been serving the area for over 30 years. Our sales staff has a combined total of over 50 years of experience in the industry. With that experience, National Window & Door has gained the knowledge to handle all sales, installation, and repair of any window or door. The professional sales staff here provides exceptional knowledge of our products to help you make decisions of what you need. We sell and service windows and doors for both your home and business. So whether you are building a new home, remodeling your current home, or are just ready to upgrade your windows and doors, call the experts at National Window & Door at (540) 381-0951. National Window & Door is the leader in window replacement in Christiansburg, VA. We offer energy-efficient windows with a sleek design to fit any space. But replacing windows is not all we do. Here at National Window & Door, we can assist you in choosing and installing money-saving windows for both residential and commercial buildings. From choosing style and color to installation, we can make your window buying experience stress free. 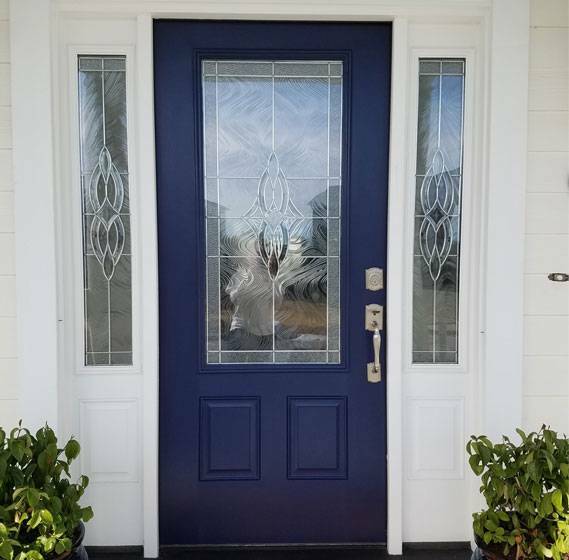 Our expert staff can assist you in choosing the right door installation for your home from our wide selection of exterior doors. We sell front doors in any style to fit the look and design of your home. We offer front stylish doors, heavy lock basement doors, along with sliding and storm doors. National Window & Door sells doors for new construction, remodeling, and replacement door installation. Whether you are looking for a more secure door for your home or to update the look of your home National Window & Door is the place for you. Our name says windows and doors, but we are so much more. We sell vinyl siding in a variety of styles. When it comes to siding for your home, we can do it all. For sales, service, and even repair of your home siding call National Window & Door.